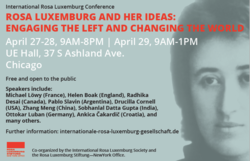 The German-Polish prominent socialist Rosa Luxemburg (1871-1919) dedicated her life to the fight against war, poverty, exploitation and every kind of suppression. Yet today in the age of neo-liberalism, we see the same problems at the heart of capitalist society that plagued of the 20th century. Luxemburg, a versatile Marxist theoretician, excellent journalist, and effective agitator has left us a body of work that remains one of the most important sources of Marxist political analysis. 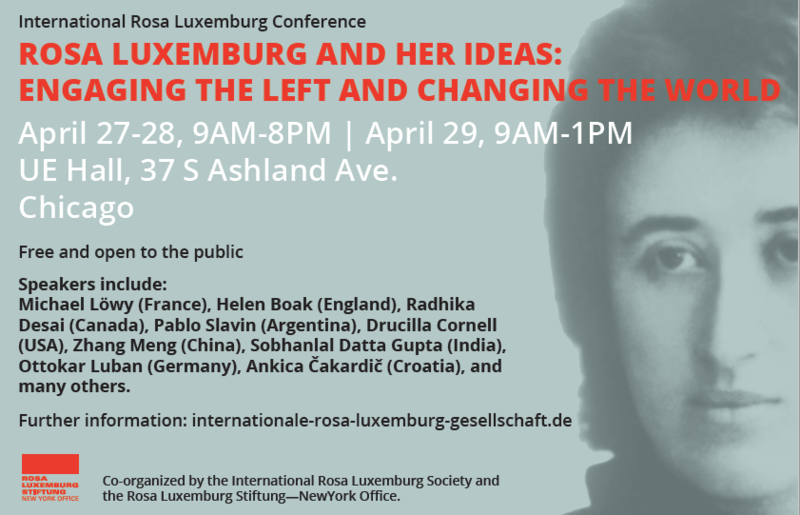 The conference will host international scholars who will present papers on the life and work of Rosa Luxemburg and her close comrades. We invite you to join us.